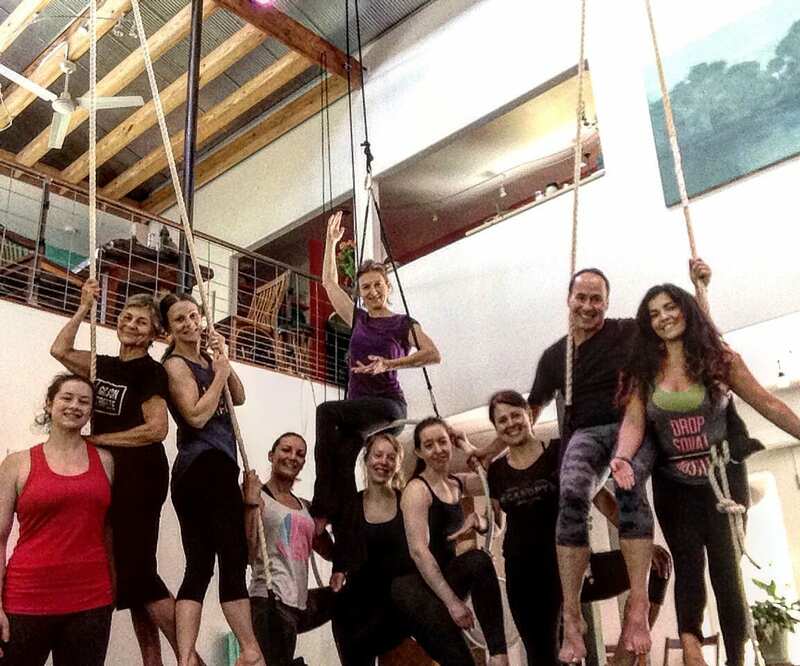 A different tribe of aerial dancers gathered at The Marsh Studio a few weeks ago for a Summer Retreat. I had only met one of the 8 but was relieved their dietary restrictions were reasonable and their appetite for “fun” (yes, they requested having fun!) complemented the summertime spirit of these hot GA days. Neighbor Mary’s pool had never felt so delicious…a welcoming to the travel weary. At dinner it soon became apparent that, unlike most dancers from past Retreats who had found their way down the sandy road to the tidal creek, the majority of these participants had little aspiration to perform. WHAT!? They came here to immerse themselves in this sensual environment, experience what Julie and I had to offer, meet other aerial dancers and take a little cruise into their impulses to move in a different way, JUST FOR THEMSELVES. I had wanted to not only coach performers but to venture into the therapeutic side of aerial dance…moving from an expressive need to connect with self without thought of an audience. Over the next 3 days we moved on balls, rollers, low trapezes, high trapezes, chairs and rolled over each other, with eyes open and eyes closed, to music and to silence. We each created “still-lifes” from objects drawn from a basket. We witnessed and mirrored each other. An intentional playground, in the air and on the ground, emerged. (“I came to this Retreat in hopes of cultivating a more graceful presence on the trapeze and a greater ease of movement. I’m a shy person…introverted…and find it hard to improvise on the trapeze. However, during just the first day I was already finding new ways to move and an ability to flow. I was initially somewhat mortified by some of the exercises Susan led us through but so thankful that I gave them my best effort. I feel less restricted in my movement”). And, at the end of it all, 3 out of 8 presented small solos. The rest of the group, happily serving as audience. So come one, come all. A motley crew is aboard this aerial ship and we are sailing along!